The AIIMS PG Admit Card 2019 for the AIIMS PG 2019 January session has been released by All India Institute of Medical Science on its official website. Candidates who have successfully submitted the applications are advised to log on to the authorised website of AIIMS and download the hall ticket. AIIMS, New Delhi had earlier sought applications from eligible candidates for the entrance test for admission to PG courses (M.Ch./ MD/ MS/ MDS/ DM) in Seven AIIMS campuses including New Delhi, Jodhpur, Raipur, Bhopal, Rishikesh, Bhubaneswar and Patna. To download the admit card and get a print, students need to follow certain steps. The AIIMS PG hall tickets comprise certain details. The candidates are suggested to check those details such as the name of the applicant, date & time, exam centre, father’s name, gender, category, roll number, signature, photograph, the language of question paper and sub-category. In case of any discrepancy, contact the officials immediately. The postgraduate exam 2019 will be held on 19th November 2018. The test will be conducted at several exam centres across the nation. Students who will be taking the exam need to turn up at the test centre with the admit card. What else do they need to carry along? Note: Carrying the above documents is mandatory. If any candidate appears at the centre with the admit card alone, he will not be allowed to give the test. Remember, one of the above identity proofs is compulsory. 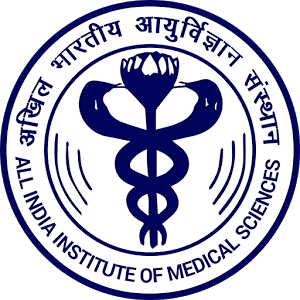 The All India Institutes of Medical Sciences, New Delhi has issued the call letter for the 6 years courses - AIIMS PG 2019 exam - online. The test takers will be able to download the same until November 18. The exam will occur on 18th November. The AIIMS PG 2019 result will be announced on November 23, 2018. For candidates appearing in the AIIMS PG exam 2019, here’s a quick glance at the exam details. The exam will be administered in one shift. There will be 200 MCQs for MS/ MD courses and 90 questions for MDS. All the questions will be in English.